As you reach the end of 2018 you are poised to enter a new year in an energetic state of clarity like never before. You have purged and shifted much, and that will be reflected in the new timelines you will select as you enter into 2019. These new timelines will focus much on what your preferences are and what brings you joy as a means of self expression. Dear Ones, we highly recommend, as you put the finishing touches on the life review you’ve been immersed in this year, that you identify and explore any area of your life you used to be drawn to and passionate about that others encouraged you to abandon. Perhaps you loved to sing or make art and your family convinced you to let those activities go because they didn’t deem them as realistic career paths. Or perhaps you loved to play baseball or other sports but gave them up because you started a family and pushed your activities to the background in order to focus on your responsibilities. Dear Ones, please know the advice others give you is based on what would be right for them and their own life expression. They simply are not qualified to speak on what your soul wishes to experience during your incarnation. They are not privy to that information because they only have the ability to see from their own vantage point. The interests that you had were there for a reason – they brought you the joy of your soul’s self expression, and were as unique and important as your genetics. They were in place to support you and add immeasurably to your life expression. In fact, they were a means of creating alignment and balance in your life. They were your unique gifts that added to the mosaic of the whole. So dust off those old dreams that you have put away in order to please others, or perhaps that you denied yourself in order to stay small and comply to societal expectations. How can you incorporate them into your life now in a way that matches who you are today? What did those interests or activities give you? Why did you love them? How can you embrace them now? 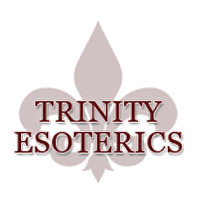 If you have found our daily messages to be helpful to you and you feel guided to support our work, please send your donation to partnershipwithspirit@gmail.com via PayPal (or you can click the donation button at the top of the page at www.trinityesoterics.com). If you are in Canada, you can also donate by sending an interac e-transfer to partnershipwithspirit@gmail.com and make the answer to the question gabriel. The draws will be held on January 1, no purchase necessary. I am so, so grateful to be able to be part of this amazing journey with you. Wishing you the most magical holiday season and a New Year that sees all your dreams come true.